Last weekend I went antiquing and I got a new desk to do my work on. I’ve already got it set up and decorated it a little to how I like, but I wanted a little something extra. I also wanted it to be Disney themed of course, so I scoured Pinterest for some ideas. I’ve seen people decorate letters to hang up in baby rooms, offices, etc. and it’s something that I’ve always wanted to do, so I decided this would be perfect project and super easy! 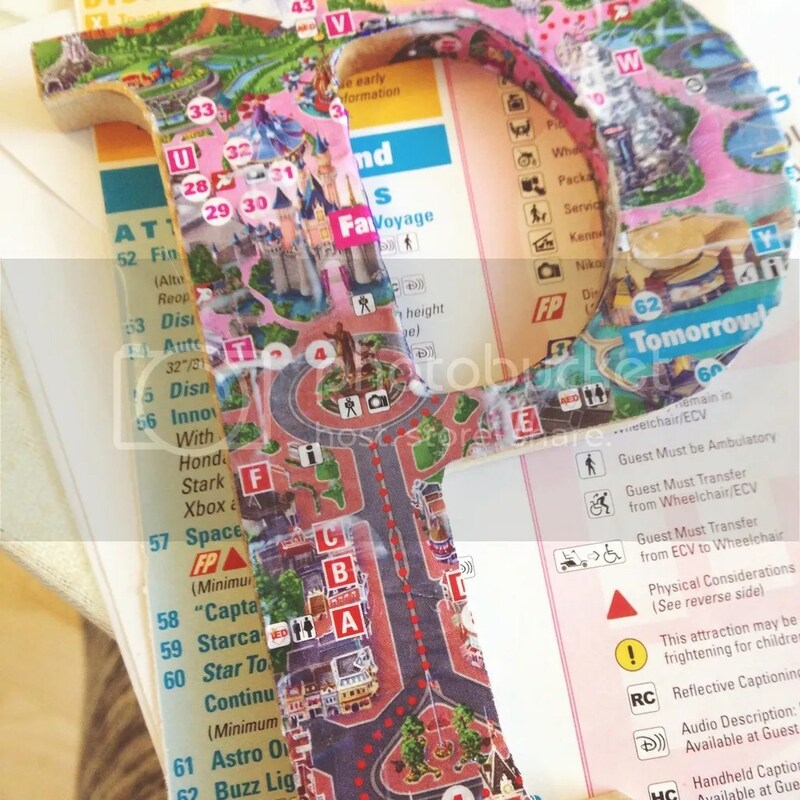 Step 1 – Spread out paper/fabric, or in my case my Disneyland map, and set the letter on top. Then trace the letter and the inside of the letter as well if there is one. 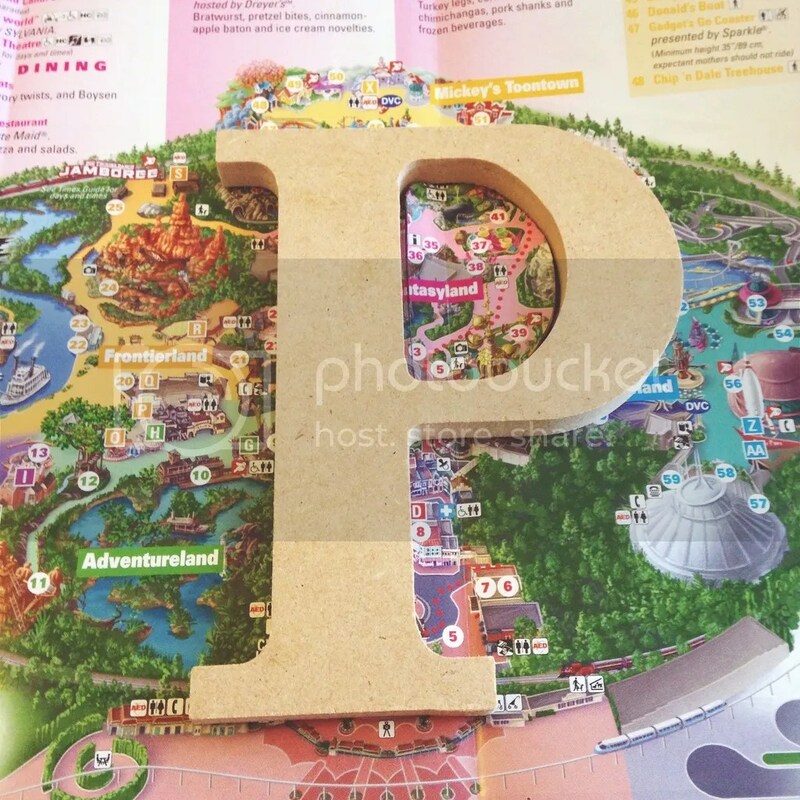 For example since I’m using the letter P, I had traced the little circle in the middle. I also traced for both the front and back of the P. *Note: You don’t have to trace the letter if you don’t want to, I did it just because I wanted to me more precise. Step 2 – Once you trace everything, cut it all out. I also cut strips for along the sides of the letter. 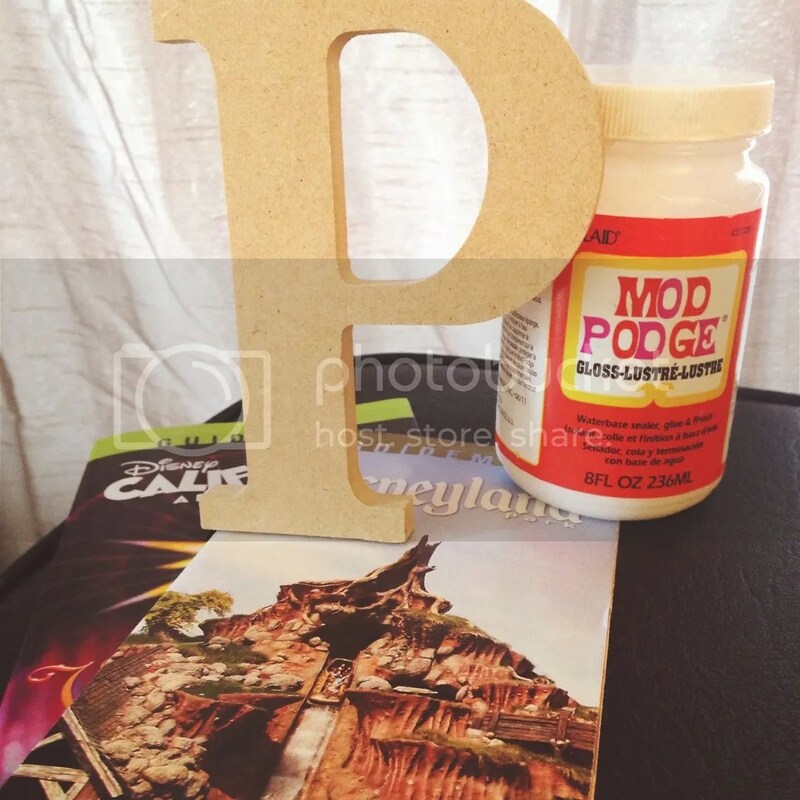 Step 3 – After you have cut everything out, put a layer of Mod Podge on the letter. Next, set the paper/fabric on top of where you put the Mod Podge and smooth it out. Then put a layer of Mod Podge on top of the paper. You can do that last, or do it as you go like I did. My hands did get a little gross and covered in the glue, but don’t worry it washes off easy. Do this for the front, back, and sides of the letter. 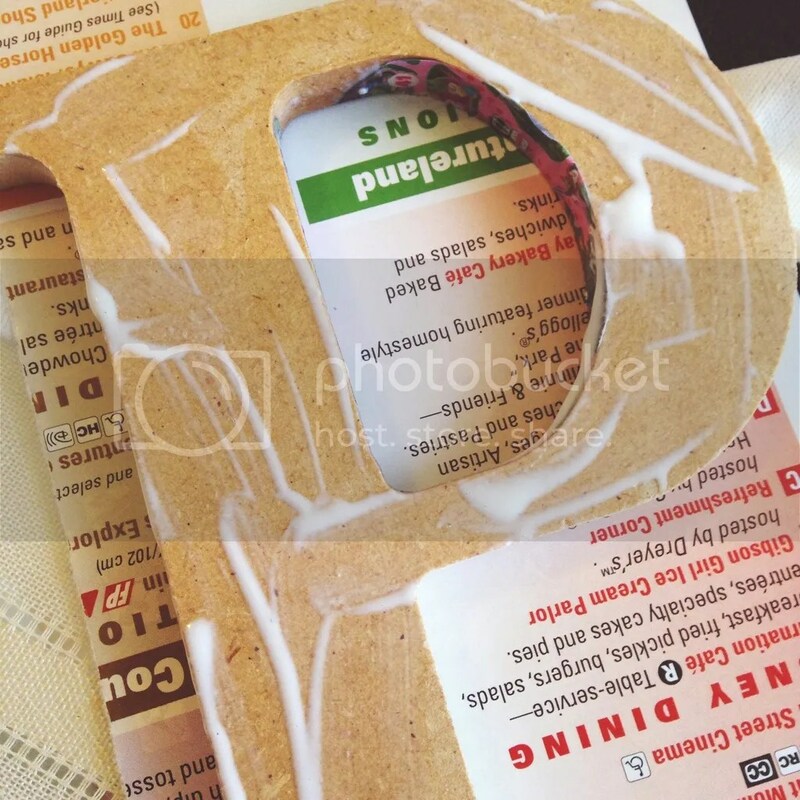 Step 4 – Let it dry and hang/set the letter where you please! I told you it was super easy! 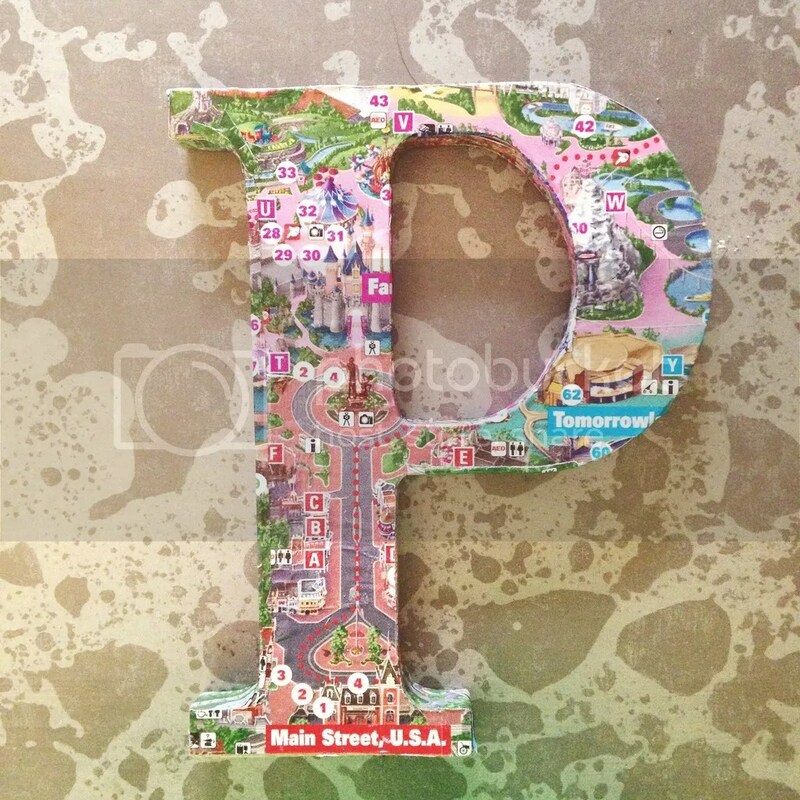 I love Mod Podge and finding new things to create with it. I think I may do another one for my mom’s office at work, but Minnie/Mickey themed. 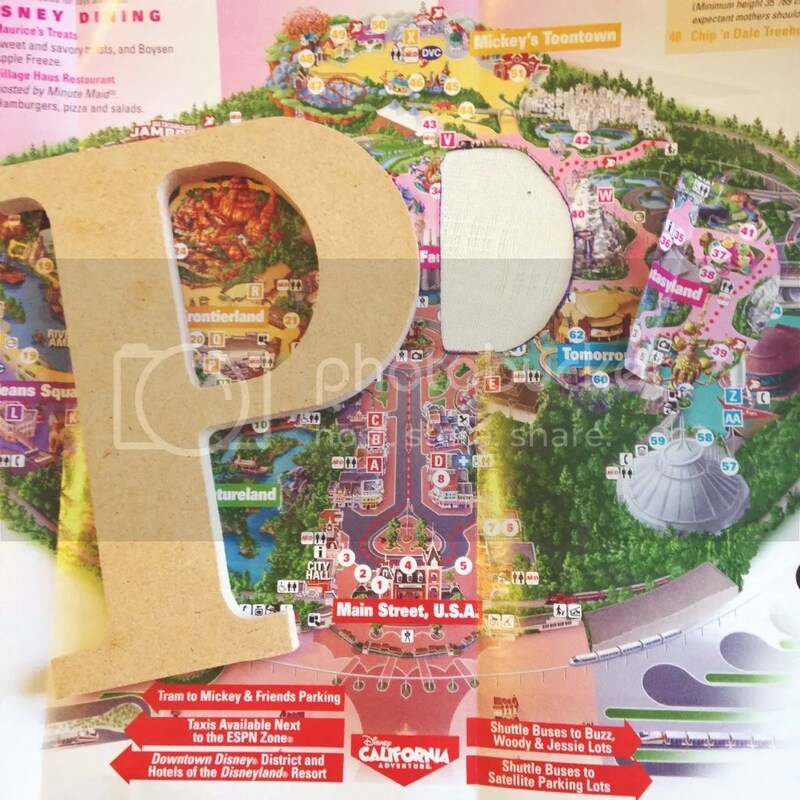 I really had a lot of fun doing this and it gave me something to do with the Disneyland maps I saved from my trip last year. If you have any questions/comments feel free to leave them below! And if you plan on doing this as well, I would love to see how it turns out. Thanks for reading! I came across your blog and really enjoy reading it! I created my site not too long ago and since we have similarities in our blogs (beauty, fashion, etc.) would you mind checking out my blog as well? You’re a great writer and I really look forward to reading your upcoming posts! I love this idea! Definitely going to try this over the summer! This is adorable! I have to try it out. By the way, your header on your blog is so cute! Did you make it yourself? Thank you so much and thanks for reading! 🙂 Yes, I made the header myself. I was totally bored one day and decided I wanted to create a cute header that kind of describes what my blog is about.